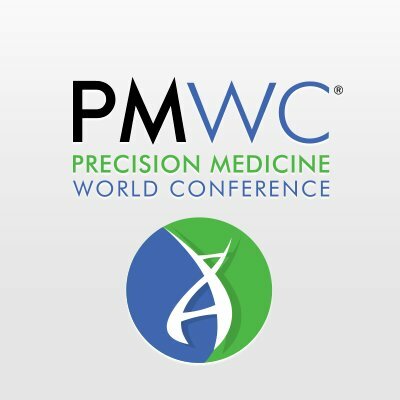 The Precision Medicine World Conference (PMWC), celebrating 10 years of operation, will take place at the Santa Clara Convention Center (Silicon Valley, California) January 20-23, 2019. This is expected to be the largest Precision Medicine World Conference ever with 2,500 attendees. This amazing gathering of prestigious experts in multiple inter-related fields and those interested in learning more is co-hosted by UCSF, Stanford Health Care/Stanford Medicine, Duke University, Duke Health, and Johns Hopkins University. The program will cover innovative technologies, thriving initiatives, and clinical case studies that enable the translation of precision medicine into direct improvements in health care. Conference attendees will have an opportunity to learn first-hand about the latest developments and advancements in precision medicine and cutting-edge new strategies and solutions that are changing how patients are treated. The conference’s five-track program will include sessions on the following major topics, among many others: AI & Data Science; Clinical & Research Tools; Clinical Dx; Creating Clinical Value with Liquid Biopsy ctDNA, etc. ; Digital Health/Health and Wellness; Pharmacogenomics; Emerging Technologies in Precision Medicine; Immunotherapy; Large-Scale Bio-Data Resources to Support Drug Development; Rare Disease Diagnosis; and Wellness & Aging. Conference organizers have assembled a hugely impressive lineup of 450+ highly regarded speakers, featuring pioneering researchers and authorities across the healthcare and biotechnology sectors (https://www.pmwcintl.com/2019sv/speakers/).